Relate: One of my favorite movies during my college years was Enemy of the State. In this movie, a high profile murder was caught on tape. The person taping it is running for his life and plants the tape unawares on a lawyer named Will Smith, er… I mean Robert Dean. Suddenly, this average guy finds himself running for his life while deep operatives with all the power, technology, and budget of the USA on his tail. By an accident of chance, he has become an Enemy of the State. The movie was great, and it was also timely. At the time left wing conspiracy theorists were tossing around the phrase “vast right-wing conspiracy” as if the actions in the movie really were happening. React: Apparently, conspiracy theories were around all the way back to the days of the Assyrian Empire’s dominance. Even in a backwoods nation like Judah people got together to turn the rumor mill into some theory of how the power brokers of the day were conspiring to hold the masses down. I guess humans have always been paranoid. Through the prophet Isaiah, God has given us some great advice for dealing with conspiracies. Let’s pretend for a moment that each and every one of these modern conspiracy theories are true. OK, prhaps not all of them. Pick your favorite. Let’s pretend the Vatican really are the world’s puppet masters. Or the Rockefellars and their inheritors are, or… you get the idea. True or not, I have the same two words. “So what”. Whether you are conservative or liberal, neither Trump nor Obama are the end of the world. Even if the Illuminati are real, that doesn’t mean God is any less in control. We have no businesss fearing any group in power whether real or imagined. The Lord of Hosts, the Lord of Heaven’s Armies is still in control. That is no conspiracy theory. It is a cold hard fact. When You came to this earth, You nailed to the cross the sin that truly did hold me down. Nothing presented a greater danger to me than my own sin, and You have taken it away. Then through Your resurrection You defeated all the powers of death and hell. No power real or imagined sought my harm as much as those two, and You rendered them both powerless. Now You have ascended to the throne where You are ever interceding on my behalf. No authority here on earth, whether real or imagined, supercedes Yours. When I truly understand who You are, no conspiracy theory, no matter how legitimate can stir up any fear. For You are greater. Great theme. So appropriate for this infamous day in US history. This is a lovely post. Thank you! I enjoy a good conspiracy theory, but there can be danger there in the sense of becoming so jaded and cynical, we no longer take the good things at face value. Also, there is always much fear mongering. And I have to laugh, if you’ve ever walked into a DMV or a Gov office of some sort, you soon realize we people have a great deal of trouble trying to organize anything, let alone organize large groups of people in complete and total secrecy! But even if such things were possible, we serve a King who commands angel armies. There is nothing on earth to fear when we are with Him. No, it’s nothing to fear, but it’s no conspiracy. Hillary Clinton was the one who made up the term “vast right wing conspiracy.” Jesus will always be Lord and He is coming back someday to deal with the evil one and his minions. I’m not worried about it. The people serving the evil one have limited power. God bless! She popularized it, but Hillary didn’t make the term up. It is an ignorant term wherever it came from. 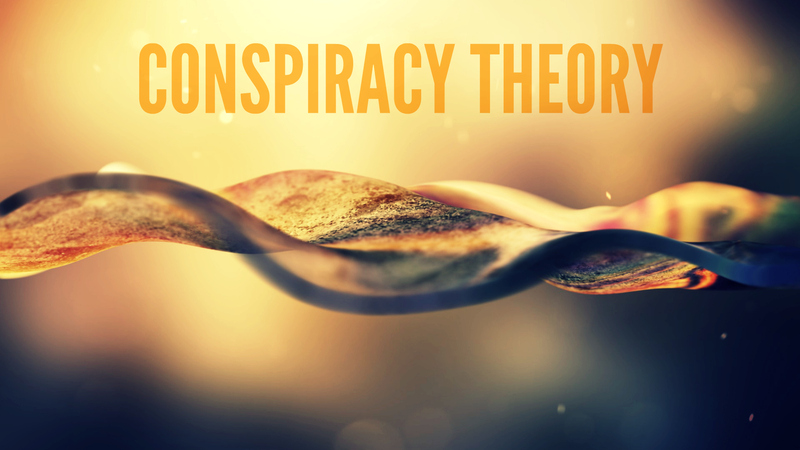 There are theories, and conspiracies and their are conspiracy theories. Then again, there are criminal acts that are too blatant and obvious to be labeled theories. Having carefully and repeatedly watched the video footage, more than 200 licensed Architects and Civil Engineers have signed an affidavit stating that, in their professional opinion, the towers were imploded with previously implanted explosives in a highly technical and controlled demolition. These are men and women whose careers are on the line. Many of them run demolition companies and create controlled implosive demolitions for a living. I am fully convinced that the demolition of twin towers, replaced by a single tower, is a massive act of witchcraft and human sacrifice and that this act was done to curry the favor of Satan in criminal acts designed to bring down Sovereign States and replace them with a New World Order. Even if this were true, which I do not for one second believe, the verdict remains the same: so what. Don’t call everything a conspiracy, like they do, and don’t live in dread of what frightens them. Make the Lord of Heaven’s Armies holy in your life. He is the one you should fear. He is the one who should make you tremble. He will keep you safe. Thank you River Walk for this post. It bears a strong message that meets me at a point where I needed it most. I was feeling anxious, and the basics of my bears if almost always imaginary fictional conspiracies. Thank you so much. God bless you as you keep on blessing us with these beautiful messages.